Cancer is not going away any time soon. With that said, as people begin to take charge of their health, they are more hesitant to pursue traditional cancer therapies. Whether or not someone chooses to undergo traditional therapies, there needs to be an actionable plan in place in order to optimize the body’s ability to fight off cancer. When it comes to nutrition, a plant based ketogenic diet for cancer may just be one of the most powerful strategies you can use. In addition to the robust nutrient density of a plant based diet, we know that training the body to use fat for fuel can place cancer cells at a disadvantage and help the body fight them off. Additionally, given what we know about the mechanisms that allow cancer to grow, there are several reasons why you should consider a plant based ketogenic diet. A ketogenic diet can be a powerful tool for helping to fight off cancer. Based off of work from pioneer researchers Otto Warburg and Thomas Seyfried (among others) we know that cancer cells are much different from normal cells. The significant finding that these scientists uncovered was that cancer cells have abnormal mitochondria (1). Mitochondria are responsible for producing energy for just about every cell within the body. These structures are responsible for taking either sugar or ketones (from fat) and turning them into ATP, the energy currency of the body. While the majority of energy production takes place in the mitochondria, a small amount happens in the cytosol within the cell. Cytosol is just the fluid within the cell that all of the smaller organelles (including the mitochondria) float around in. The energy production that occurs in the cytosol is highly inefficient and produces higher amounts of toxic byproducts that are damaging to the cell. Furthermore, this process can only make energy from sugar, not from ketones. Well, we know that cancer cells with their damaged mitochondria can only produce energy from sugar in their own cytosol. Additionally, cancer cells have many more insulin receptors than regular cells, which means they are capable of rapidly absorbing glucose and potentially stealing it away from healthy cells. This means that a higher sugar or carb-rich diet may be giving cancer cells just what they want. The idea behind following a ketogenic diet is to put these sugar-thirsty cells at an energetic disadvantage by depriving them of their preferred fuel source. In addition to following a ketogenic diet, following a diet that heavily emphasizes plant foods can be powerful for combatting cancer. This is because various plant based compounds have been shown to act on different pathways in the body to down-regulate cancer growth. For example, the turmeric compound, curcumin, has been shown to act on certain inflammatory pathways in the body, namely the COX and LOX enzyme systems (2). Research has shown that elevations in these pathways are associated with a more aggressive progression of cancer (3). Therefore, using compounds such as turmeric may have a therapeutic benefit for cancer by downregulating these inflammatory pathways. There are number of different plant compounds that perform similar functions in the body. In fact, there is a whole list of anti-cancer nutrients that seems to each provide their own unique benefits by targeting different pathways in the body. Having a diet rich in a variety of these compounds can provide a multi-faceted approach to creating an internal environment in the body that does not favor cancer growth. When it comes to fighting cancer naturally, factors like this need to be taken into consideration to provide the body with the best chances of overcoming this disease state. I want to be clear that I generally do not recommend a vegan diet. While certain aspects of a vegan diet are very therapeutic, there are certain animal-based products that provide their unique benefits as well. This is why instead of a vegan diet devoid of all animal products, I recommend a diet that has a heavy emphasis on plant based foods with a small amount of animal foods as well. It is this combination of plant based and ketogenic diet that gets amazing results in transforming people’s health. This is the style of eating I have recommended for years with great results clinically. There are two things you must know about cancer that make a plant based ketogenic diet relevant for therapeutic purposes. While I’ve already touched on these things, I want to reiterate to make them better understood. First of all, cancer cells thrive in a high-sugar environment. They have broken mitochondria and use only sugar to produce energy. This means that following a ketogenic diet, where the body burns fat instead of sugar, you can place cancer cells at an energetic disadvantage. Secondly, we now know that cancer has epigenetic influences. Basically, we know that cancer is generally a result of faulty DNA leading to poorly functioning cells (genetics). We used to think that DNA mutations were completely random and conditions like cancer simply “run in the family”. The reality of it is that our diet and lifestyle can largely dictate whether or not these faulty DNA sequences will occur or not. This is called epigenetics. There are several epigenetic pathways in the body that are associated with cancer growth. A plant based ketogenic diet is capable of altering these pathways in a manner that improves your chances of overcoming cancer. There are four primary pathways in the body that are important to understand in the case of cancer: mTOR, P53, IGF-1, and AMPk. mTOR stands for mammalian target of rapamycin and is a physiological pathway in the body that helps to regulate cell growth and replication. We know that cancerous tissues tend to have an elevated activation of the mTOR pathway that may be contributing to the rapid cell division found in cancer. mTOR is a necessary biological pathway but is problematic when it is chronically stimulated. One of the primary activators of the mTOR pathway is insulin. This means a high sugar diet may contribute to cancer by elevating mTOR activity. The excessive ingestion of protein can also stimulate this pathway. For the reasons outlined above, a plant based ketogenic diet that also implements protein restriction can be a great strategy for cancer. The defective DNA cannot be repaired and the p53 gene signals for apoptosis of the disorderly cell, halting the potential for cancerous growth. In a large proportion of cancers, the p53 gene has been inactivated. We now know that a high sugar diet has the potential to inhibit the p53 gene. Certain nutritional deficiencies may also have the same effect (such as zinc). Luckily, there are a number of plant based food compounds that have the ability to help restore proper p53 function that are discussed later in this article. IGF-1 stands for insulin-like growth factor. IGF-1 is growth-stimulating hormone that works to regulate the reproduction and regeneration of cells. Children who are in the rapid development stages of life tend to have high levels of IGF-1. When IGF-1 is elevated in those who are not in a rapid development stage of their life, however, it may serve as a catalyst for cancer growth. Once again, there are a number of ways to inhibit the production of excessive IGF-1 including protein restriction, fasting, exercise, curcumin, resveratrol, and a number of other plant based food compounds. AMPk stands for Adenosine Monophosphate-activated protein kinase. When ATP (Adenosine Triphosphate) is broken down for energy within cells, phosphate groups are removed to form ADP and AMP (Adenosine Diphosphate and Adenosine Monophosphate, respectively). An upregulation in the AMPk pathway can actually help to fight cancer by diverting sugar away from cancer cells and into healthy cells, limiting cancer’s fuel supply (5). As the trend continues, carbohydrate restriction and numerous plant based compounds have been shown to upregulate the AMPk pathway to help the body fight cancer. On a cancer healing nutrition plan, we want to reduce our protein consumption more so than if we are an active and healthy individual or someone dealing with an autoimmune condition as opposed to cancer. This has to do with overstimulating the mTOR pathway and IGF-1 which are often hyperactive and stimulating out of control cell reproduction processes. Staying around 0.5 g/Kg can be therapeutic for reducing mTOR and IGF-1 expression. To put that into perspective, a 150 lb person would only consume 34 g/protein daily. If you are simply having problems with staying full, then hydrating better throughout the day and increasing fat intake and overall vegetable content to increase fiber with meals will be the place to focus. Along with a low protein, plant based keto plan I recommend using intermittent and extended day fasting is highly recommended to slow down mTOR and IGF-1 expression, stabilize the P53 gene and improve AMP-K expression. While following a plant-based ketogenic diet may seem relatively straight-forward, there are specific plant-based foods that have powerful anticancer effects. Below are some of my top recommendations for cancer fighting plant foods as well as select animal products that provide their own unique cancer fighting benefits. Allium vegetables such as garlic and onions contain naturally occurring glutathione as well as allicin and selenium. All of these act as powerful antioxidants in the body which may make alliums an important cancer fighting food (6). Alliums have a protective effect over the p53 gene which helps to maintain the body’s ability to detect and eradicate defective cells before they develop into cancerous growths. Green tea contains two powerful anticancer compounds; EGCG and quercetin. Both of these compounds act as powerful antioxidants that upregulate AMPk activity, protect the p53 gene, inhibit IGF-1, AND inhibit the mTOR pathway. As a result, green tea has been shown to inhibit cancer cell growth while promoting cancer cell apoptosis. Additionally, green tea helps to promote the production of the antioxidants glutathione and superoxide dismutase (SOD) which drastically lower inflammation in the body. Berries are rich in quercetin as well as a unique class of purple-pigmented antioxidant compounds called anthocyanins. Anthocyanins may promote AMPk activation while inhibiting mTOR. The antioxidant activity of berries also helps by protecting DNA from being damaged in the first place while slowing the development of any cancer already present in the body. One of the most significant activities of berries and anthocyanins is that they actually target cancer stem cells and upregulate tumor suppression genes. Wild blueberries are one of the best sources of anthocyanins. Broccoli and Brussels sprouts contain a wide array of nutrients including quercetin and sulforaphane which have several anticancer effects (7). Sulforaphane is a sulfur compound called an isothiocyanate that plays an important role in maintaining p53 function. Additionally, cruciferous vegetables help to activate the NRF2 pathway which is a powerful antioxidant system in the body with strong implications for fighting cancer. Sulforaphane within cruciferous vegetables also assist in liver detoxification of excess estrogen in the body which can help in the treatment of hormone sensitive cancers such as breast cancer. Leafy green veggies like kale, arugula, collard greens, mustard greens, spinach and Swiss chard are super nutrient-dense foods. Loaded with vitamins, minerals, and chlorophyll. Chlorophyll has the powerful ability to help the body detoxify carcinogenic substances by binding and eliminating them in the digestive tract, while also support liver detoxification (8). Kale in particular is a powerful leafy green as it also contains the powerful isothiocyanate, sulforaphane, which reduces cancer cell replication and boosts immune system function. Turmeric is an Indian spice that contains a wide array of healing compounds, of which curcumin has received the most attention. Curcumin has powerful anti-inflammatory activity which is a major implication in cancer development. Curcumin has also been shown to prevent the spread of tumors and support apoptosis. Curcumin also has the ability to target cancer stem cells to help prevent the reoccurrence of cancer in the future (9). Many conventional treatments do very little in terms of killing cancer stem cells which is why cancers often come back more aggressive after treatment. Consuming foods rich in antioxidants is one of the easiest and most effective ways for lowering inflammation on a daily basis. Chronic inflammation is strongly correlated with the aggressiveness of cancer growth. Herbs are some of the most antioxidant rich foods on the planet. Herbs like oregano, basil, rosemary, and milk thistle all contain their own unique compounds that assist the body in fighting off cancer. 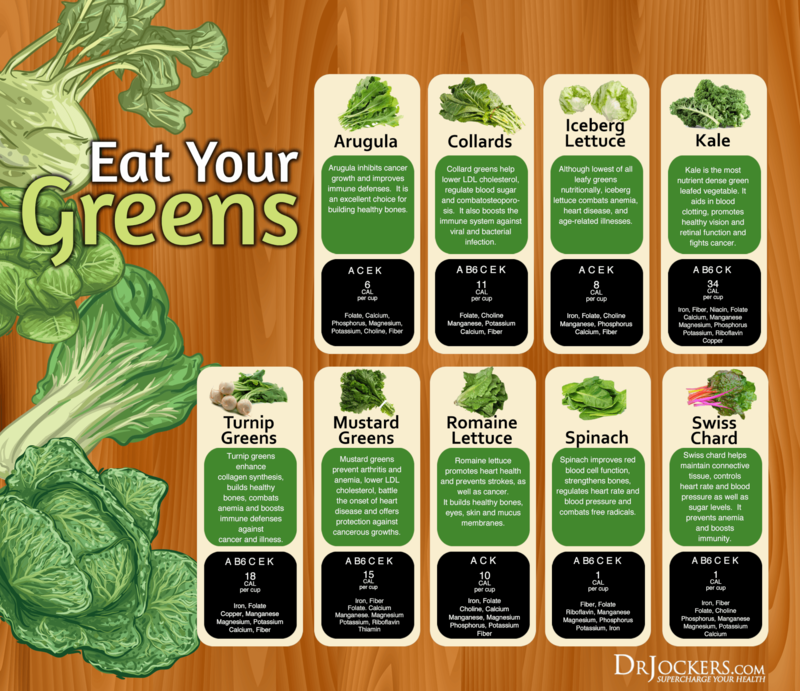 Use these in abundance to drastically boost the nutrient density and antioxidant potential of your meals. A commonly overlooked cancer fighting food is the sprout. Sprouts are essentially nutritionally magnified versions of the foods they grow into. For example, broccoli sprouts contain up to 100 times the antioxidant raw materials as broccoli does (10). Broccoli and kale sprouts are great on salads, in wraps, or in green smoothies. Something I’ve noticed with cancer patients is that they have a lot of digestive issues. This is especially true for those who have undergone chemotherapy or radiation treatment that has left them with an inflamed gut. In these cases, it is important to get protein into the body in an easily digestible manner. Not only is bone broth super easy to digest, but it helps to sooth and heal the inflamed tissues in the gut. This can also help improve the immune system as digestive issues are often a root cause of chronic inflammation and autoimmunity. Collagen protein can also be an excellent addition for providing similar benefits. These can either be made at home, or purchased in the store in liquid or powdered form. It is important to find these products sourced from grass-fed sources. Butter and ghee are actually a good source of cancer fighting nutrition. In addition to fat soluble vitamins A, D and K, butter contains two important healing compounds butyrate and conjugated linoleic acid (CLA). Butyrate is a short chain fatty acid that is typically produced by the bacteria on our gut. When consumed from butter, butyrate has anti-inflammatory and gut healing nutrient. Because an inflamed gut can be one of the leading causes of inflammation throughout the body, it is important to use nutrients like butyrate to help heal the gut. CLA is an anti-inflammatory, metabolism boosting nutrient that has demonstrated anticancer properties. It is thought that CLA exerts cancer fighting properties by activating genes responsible for suppressing tumor growth. Very small amounts of CLA are needed for these benefits (11). Eggs from pasture-raised chickens are some of the most nutritionally complete foods on the planet. They contain carotenoid antioxidants, Vitamins D, E and K, fatty acids EPA, DHA and CLA, along with choline and lecithin. Providing a dense source of a wide away of nutrients, pasture-raised eggs can be a great addition to a plant based ketogenic diet. Most people battling cancer are also dealing with chronic inflammation in the body. Taking higher amounts of omega 3 fatty acids can have a powerful impact on inflammatory pathways in the body. Additionally, reducing the intake of omega 6 fats from processed vegetables oils is equally as important. The best sources of omega 3 fats include wild caught sockeye salmon, sardines, anchovies, herring, wild caught cod, and light tuna. Alternatively, you could supplement with a purified fish oil. 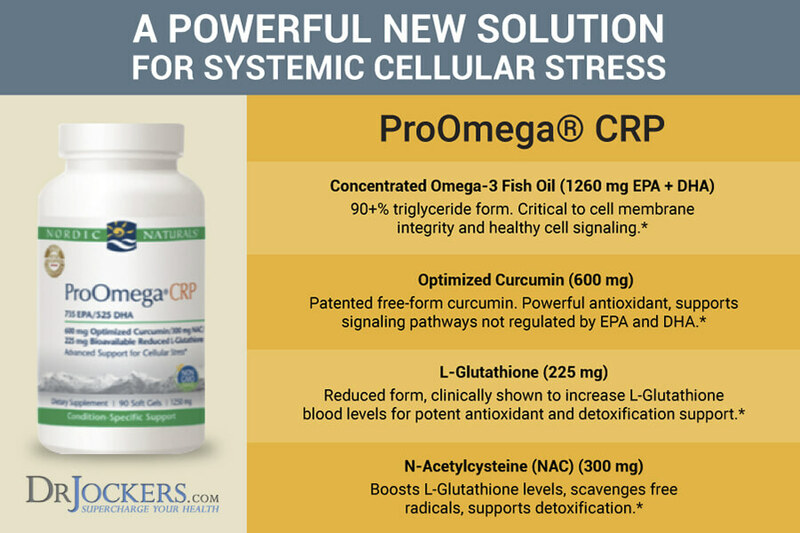 In the case of cancer, I would recommend an advanced support fish oil such as ProOmega CRP as it combines fish oil with powerful anti-inflammatory nutrients. Organ meats are loaded with nutrition compared to muscle meats. In fact, heart and liver are some of the most nutritionally dense foods in the world. Liver in particular is full of active Vitamin A, zinc, selenium, and B vitamins that are needed for energy production and immune function. Heart is also rich in B vitamins, zinc, and selenium but it is also rich in coQ10. CoQ10 is vital for proper mitochondrial function and is often deficient in those facing chronic diseases such as cancer. I highly recommend that you only consume organs from grass-fed, pasture-raised animals and only once or twice a week. If you do not like the idea of consuming organs, I highly recommend this beef liverwurst from US Wellness Meats as it is a combination of organs in more of a sausage form that surprisingly has a pretty good taste. Cancer thrives on sugar and is influenced by several epigenetic mechanisms. Luckily, a ketogenic diet can be used to deprive cancer of sugar while strategic implementation of plant foods can act on epigenetic mechanisms to help fight cancer. Consume the majority of your calories from healthy fats while reducing carbohydrate intake to 5% or less of daily calories. Restrict protein consumption to around 0.5 g/Kg of bodyweight to reduce mTOR expression. If you are looking for a complete plant based, ketogenic diet program than check our Cancer Cleanse program which uses this along with other advanced strategies to improve your metabolic function, cleanse your system and help you to prevent cancer naturally. Although it is not a replacement for medical treatment, it provides a foundational nutrition and lifestyle program to follow for anyone that is dealing with cancer at any stage to follow along with more advanced natural and conventional cancer approaches. Hi, I agree, it’s had to find a low protein plant based keto diet, which makes the most sense to me, especially, if you have active cancer. Is that protein fast recommended before chemo, does anyone know. I’ve read fasting before chemo is beneficial for targeting cancer as well as for side-effects of convention therapy. That seems much easier than a water fast. Hey Mel, yes fasting can be a powerful strategy in this case as well. Thanks for responding. Do you think a fast with the bullet coffee and a little broth and fats can be as effective as a water fast pre and post chemo? Both can be helpful Mel but will have slightly different effects. You will likely be in ketosis either way but more pronounced autophagy benefits will come with water fasting. I have read that it is beneficial to cycle a carb day during the keto diet, especially the day after chemo. Seems more and more I an hearing about more powerful effects with the cyclical diet. I am considering this once a week during the chemo, which will be a lower dose but not IPT. It hasn’t been an easy decision, but I’m doing the plant plant based keto (thank you for that) and I’m to create a schedule, that will include pre and post fast. Thanks for the generosity of your time. Do you agree with the cyclical diet day after chemo? Following a ketogenic diet, fasting for about 14 hours preceding chemo and following that with a carb cycle (on chemo days only) may be beneficial. There are certain clinics that have success with this approach. Yes you can factor it in Chiara! I am interested in doing the keto diet…have been on it for 4 months but not in ketosis yet and I think I might be eating too much meat/protein so am switching over to plant-based keto. I am allergic to avocados and wonder if there is any substitute? Also, are lentils allowed and if not, why not? Does that add to the carb load? I understand that the carbs in veg are ok but not sure if lentils qualify here? HELP! I hope you will email me with the answer because I am not sure I will be able to 3ever navigate back to this page to get the answer. Mahalo from Hawaii!! Dr. Jockers can u Plse. Talk about how high glutamine foods such as bone broth and (Keto ) protein is anti-cancer??? Good question, L-glutamine is one of the most abundant amino acids in the body and cancer cells will pull it from circulation one way or another. Preventing cancer growth will come from creating a non-toxic and nutrient-enriched environment. Also, improving insulin sensitivity to lower blood sugar and keeping mTOR levels under control which will all be done by following a nutrient dense ketogenic diet as outlined above! I have metastisized breast cancer and recently discovered that I was feeding the cancer byhuge amounts of bone broth and daily l-glutamine supplements. I have stopped both, but bone broth seems to be included in the recommended plant based diet for cancer. Can you please clarify, Dr Jockers? Yes Mavis, bone broth and L-glutamine do not feed cancer. Glutamine is the most abundant amino acid in the body and cancer cells will take it from surrounding cells. There is no reason to be on a low glutamine diet if you have cancer. Instead, we want to be on a lower methionine and leucine diet as those amino acids trigger the m-TOR pathway that is hyperactive in cancer cells. Bone broth is low in methionine and leucine and high in proline and glycine which help with liver detoxification. unfortunately my mom has just been diagnosed with the breast cancer. I would love for her to start with Ketogenic nutrition as soon as possible. My question is if we purchase your Ketogenic Diet Program, will we have all the information (and most importantly diet plans) so she can start right away? No this is more or less the same as bone broth and is very good!